› Education Posts › Get Inspired to Write! Inspiration is one of the crucial elements that every writer needs to produce a good piece of writing. Regardless of the type of writing (a scientific novel or a poem), one needs a muse to get inspired to write. In my personal opinion, inspiration is not something mystical that is not controlled by a person. 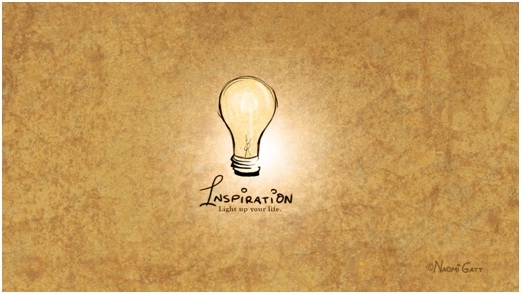 Inspiration is the certain mode of an individual that is characterized by presence of ideas and absence of distractions. Writers can control their inspiration and call for it when it is needed. This small article will give every young writer several tips on how to get the muse to do her work. If you want to get inspired on writing a good essay, you should realize that you have to look for ideas constantly. Writing is a dynamic process where the writer is constantly looking for interesting ideas, personalities and words in the daily life. Create your own journal where you will write down some ideas, observations or simply practice creative writing. Create the list of your favorite words and update it every time when you hear a new one. A brilliant idea can grow out of a small but lovable word. Create ideas in your head. Constantly practice in developing various ideas, even if you do not plan to write about them. Another effective way you can get inspired while writing is to implement some changes into your writing setting and atmosphere. Location. Try writing a novel sitting in the library or in the park instead of your room. The change of place can help you think in a different way. Subject. If you have several favorite subjects to write about – forget them and think about something new, something that you would never consider writing about. Attitude. Another way to get inspiration for writing is to change your attitude towards your paper. Imagine that you write in the forest or to the unknown person. You can try looking for samples or order papers at qualitycustomessays.com. Pace. Change the pace of your work. Try describing the object in all possible details and write slowly or vise versa. Inspiration is an important element in writing and once you lose it, the writing becomes torture. Feed up your muse with the above-mentioned ideas and enjoy the inspiration for writing an essay, novel, poem or scientific paper.